New View Roofing is proud to be a Dallas-based, veteran-owned roofing company. We stand out with hassle-free services, a strong knowledge base, elevated business standards & responsive customer care. Whether you need installation, repairs, restoration, or re-roofing, we’d be glad to be of service. From start to finish, you’ll receive high-caliber solutions, workmanship & treatment. Customer satisfaction and quality end-results are our foremost priorities on every job. We won’t stop short of aiming to surpassing your expectations in every way we can. To schedule an convenient, expert roof assessment & estimate with our team, call us today. We specialize in premium metal roofing products, such as the Aluminum Country Manor Shake and Aluminum Rustic Shingle roofing systems. Our crews are Factory Trained and our service oriented approach will leave you happy with your decision to do business with us. We deal in a lot of upgrades through hail damage and also handle insurance claims to relieve stress from homeowners. Professional steep slope residential roofing experts specializing in storm damage and insurance claims assistance. Our goal is to provide our customers with the best roofing service experience possible. Final Cut Roofing is a roofing company committed to setting high standards throughout the Dallas Texas residential roofing industry. As expert roofing contractors, we deliver an outstanding level of customer service along with the best roofing installation on the market. Whether your home improvement project is a small roof repair or a full roof replacement, you can expect the same level of professionalism, quality roofing products, up to date roofing installation, and appreciation for your business. Hart Construction specializes in roofing, storm restoration, and remodeling for both residential and commercial properties. At Hart Construction, our experienced General Contractors work directly with you through every step of the process whether it's roofing, roof repair or complete storm restoration. We are fully Accredited by the BBB, Certified by Certainteed Shingles, Members of the North Texas Roofing Contractors Association, and Members of the Roofing Contractors Association of Texas. Call us for a complimentary inspection!! The Roof Agency Inc. Specializes in beautiful custom Roof Systems from designer asphalt shingles to Tile, Slate and Metal Roofs. 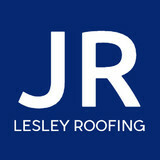 Swan Roofing LLC was established in 1981 by Kirk and Terrisa Swan and has been an icon for roofing in the DFW area. They have built one of the leading roofing companies in the entire state of Texas and are very proud to say that they have earned their reputation by second-to-none customer service. They are both very active participants in the day-to-day operation of their company and involved in community activities as well as supporting organizations like Rebuilding Together where they give of their time and resources to help the underpriveleged homeowners of Dallas with their roofing needs. It is this desire to be a part of the DFW community that has sustained them for more than 30 years. Swan Roofing can handle any and all of your roofing needs either residential or commercial and are considered "preferred contractors" for several of the major insurance companies. They are GAF Master Elite certified roofing contractors, an honor held by only 3% of roofers nation wide. You can trust Swan Roofing LLC to help you with everything from roofing repairs to installing the most elaborate roofing products and home styles. We are sure you are going to love working with Swan Roofing when you have need of their services. Frisco Roofing Company is a leading Dallas roofing company that provides excellent quality roofing. Frisco Roofing Company is a subsidiary of a general contractor Construction Giant, Inc. By ensuring the highest quality material and workmanship in the industry, we guarantee the durability of your roof. Read more We offer you a free no-obligation estimate and roof inspection in the Dallas - Fort Worth area. Our experienced representatives make sure that your roof is taken care of. 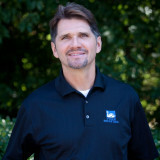 Rest assured you can count on us and our roofing team that has over 25 years experience in roofing in Dallas, TX. Often times, people assume that their roof is not damaged because it "looks fine" and does not leak. However, it is best to put preventative measures in place to prevent serious problems that may occur a few years down the line. After a hail storm there is only a limited amount of time to have your roof repaired according to your insurance policy. Pro Select Roofing is a full-service roofing company based in Fort Worth, TX. We’ve built a strong reputation in the community for treating every customer’s home as if it were our own. We care about the people we serve! Offering top-quality home improvements at competitive prices, we’re the team you should call when you need to replace your roofing or gutters in Fort Worth or the surrounding area. Roofs are really roofing systems, and building or repairing them is no easy task! That’s why at Pro Select Roofing we focus on just doing roofs in Fort Worth, TX, and doing them well! We want your home to stand up to the elements and remain valuable for many decades to come. If you’re not happy, we’re not happy! 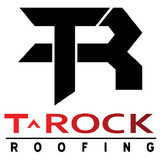 Family owned and trusted roofing company located in the Dallas/Fort Worth metroplex. We appreciate the opportunity to serve our customers by installing exceptional roofing systems using only the finest products. We pride ourselves on exceptional service to all our Dallas / Fort Worth customers. Call us today to book either a free roof inspection or plan your new project for your home. We will be delighted to help you and give you advice that you may need. The best roof is the one you can forget! Our products are more durable, more energy efficient, longer lasting and more beautiful than fiberglass. We are installers and distributors, certified and qualified to handle the most complex projects. Superoof is an Owens Corning Preferred Contractor, a stone coated steel Master Roofer for Gerard Roof Systems, and an IB Roof System factory trained technician. Years of know-how is behind all Classic Superoof jobs from start to finish! We are very proud of the reputation we have earned by working with each of our customers to maintain their trust. Every project must pass exacting quality control standards and inspections, but the final, and most important, test is complete customer satisfaction. Our staff of professionals assure quick, easy service. Everything is done for you courteously and hassle-free! We realize that your time is just as valuable as ours. Superoof's volume-buying power and efficiency give us a competitive advantage in pricing without sacrificing quality. We specialize in roofing design and quality that is structurally sound and architecturally compatible with your home. You can feel secure knowing that Classic Superoof is fully insured on every job that they perform. Classic Superoof's premium roofing systems offer optimum weather-proofing for your home. The systems have successfully passed the "Texas Weather-Tough Test." Many homes have weathered multiple hail storms and remain both weather tight and beautiful. In addition, our premium roofs have the UL Class "A" fire rating and the UL 2218 Class 4 impact resistant rating for hail, which provides the best protection currently available. Many of our roofing systems also offer wind protection up to 100mph gusts. CCS Construction & Roofing is a family owned business established in 2005, providing services to Residential Owners, Insurance Companies, Real Estate Agents, and Commercial Builders. We are a licensed, insured, and bonded company serving the roofing needs of DFW and the surrounding area. CCS Construction & Roofing is a DFW roofing company comprised of a group of skilled and professional roofing contractors who are dedicated to providing quality service and work to the DFW areas. Our contractors are highly experienced and qualified to handle any roofing project for residential and commercial properties. We will be glad to visit your home or business property for a free consultation. Our contractors will be able to educate you on the current condition of your roofing structure, as well as inform you on the future repercussions if it’s not properly repaired or installed. Depending on the type of roofing system and the quality of your attic, the lifespan of the roof can last up to several decades. CCS Construction & Roofing is a highly qualified company that is dedicated to the longevity of your roof. Our mission is to earn our client’s trust by providing excellent craftsmanship and quality at a fair price. We take pride in every job… Where Details Make the Difference! Call us to talk about your roofing needs! Mayfield Roofing Inc. DFW has been serving the roofing community since 1961. We're dedicated to providing residential and commercial customers with the best roofing solutions possible. We are a fully bonded and insured company that is also a member of the Better Business Bureau and National Roofing Contractors Association. Team Texas Construction assists property owners with repairs due to damage caused by wind, hail, or severer weather events. 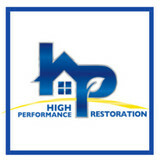 We are specialists with over 30 years of rebuilding experience. We can handle your repairs fro start to completion ensuring your satisfaction along the way. Team Texas Construction is a full service operation based locally in the North Texas region. Homeowners have learned they can depend on us for quality service and peace of mind , knowing their property will be repaired correctly and at an exceptional value to them. What do roofing companies in Lewisville, TX do? Your Lewisville, TX roofing contractor can install a new roof or repair an old one, as well as repair and replace gutters. Good roofers in Lewisville, TX should be able to promptly inspect roofs and gutters to assess damage after a natural disaster or other event, and give you an estimate for the necessary roof repair immediately. Some Lewisville roofing companies specialize in specific types of roofs, such as tile or metal, so make sure the one you are interested in works with the materials you have or desire. Find a Lewisville roofer on Houzz. Narrow your search in the Professionals section of the website to roofing companies in Lewisville, TX. If you’re planning a large-scale project, find other professionals on Houzz who can help get the job done. Here are some related professionals and vendors to complement the work of roofing & gutters: General Contractors, Specialty Contractors, Siding & Exteriors, Door Sales & Installation, Garage Door Sales & Installation.